Extending collagraphs; For people who have already done an introductory course, this is a chance to spend 2 days experimenting with specific techniques that interest you – the course is flexible to accommodate students’ interests and give an opportunity to consolidate some of the ideas developed on the introductory courses. people come with ideas and questions, an atmosphere of collective experimentation is encouraged and the course unfolds as we go along. 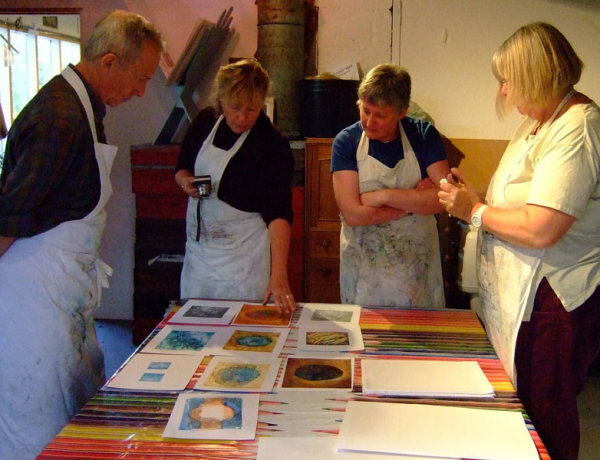 Suitable for people with some experience of collagraph printing. "All Emily's courses are brilliant as she encourages experimentation." "As usual we left fizzing with ideas..."